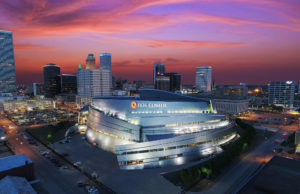 W (formerly Young Professionals of Wichita) is a community for young professionals in Wichita, Kansas. Through networking, leadership opportunities, and exclusive programs, we prepare you for career and personal growth. Join W What membership in W is all about. Engage with W Ready to dive in? Let’s go. Partner with W We value your support. W Launches Odyssey Apr 11 Odyssey, a city-to-city trip for young professionals, designed by young professionals to learn, be inspired, and lead in our community. 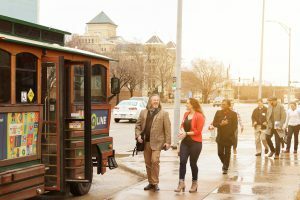 Wichita Young Professional Group Unveils New Name, Website Apr 05 Young Professionals of Wichita (YPW) has unveiled a new name, a new logo, and a new website as part of a rebranding initiative. Building A Community of Young Professionals Mar 28 Today we are changing our name. 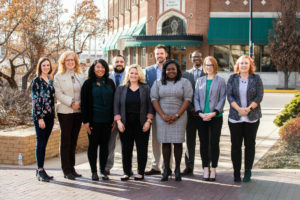 Young Professionals of Wichita is now W.
YPW Announces Mission Wichita Class of 2019 Feb 27 Mission Wichita is a program designed to establish relationships between young high achieving Airmen and young professionals. Work hard. Stay fearless. Inspire greatness. Live authentically. Why? Because we are the difference.